I came across an unexpected issue when changing fork oil in my 2015 800 xcx with WP suspension. I reviewed the Triumph service manual and also checked the oem parts diagram to get familiar with the fork innards before changing the oil. All went well with the left fork with compression adjustment. However, I had a problem with the right fork with rebound adjustment. After adding new oil and reinstalling the spring and retaining nut, I dropped the rebound adjusting rod down through the damper rod. But instead of stopping above the top of the damper rod (as shown in the service manual), the adjusting rod fell down about 1/2 inch below the damper rod. 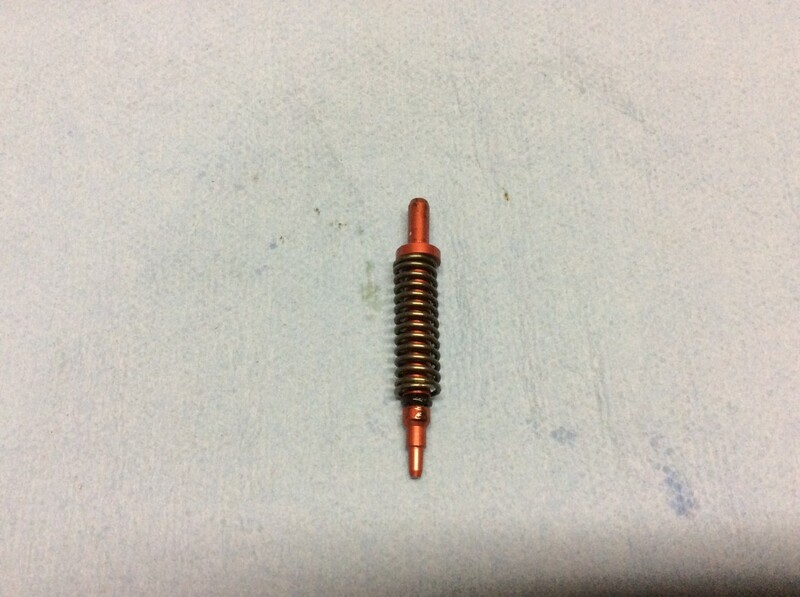 As a result, after installing the fork cap, the rebound adjusting pin in the cap would not contact the damper rod, so no rebound adjustment was possible. I wasn’t sure what happened. Tried repeating the oil change process, thinking I didn’t purge air from the system. No luck. After several attempts, I concluded there must be a problem with the internal fork cartridge but the oem parts diagram shows no service parts for the cartridge. Solution found after consulting a local Ktm dealer that knows WP forks. Although not familiar with the Triumph forks, the dealership correctly diagnosed the problem as missing parts. 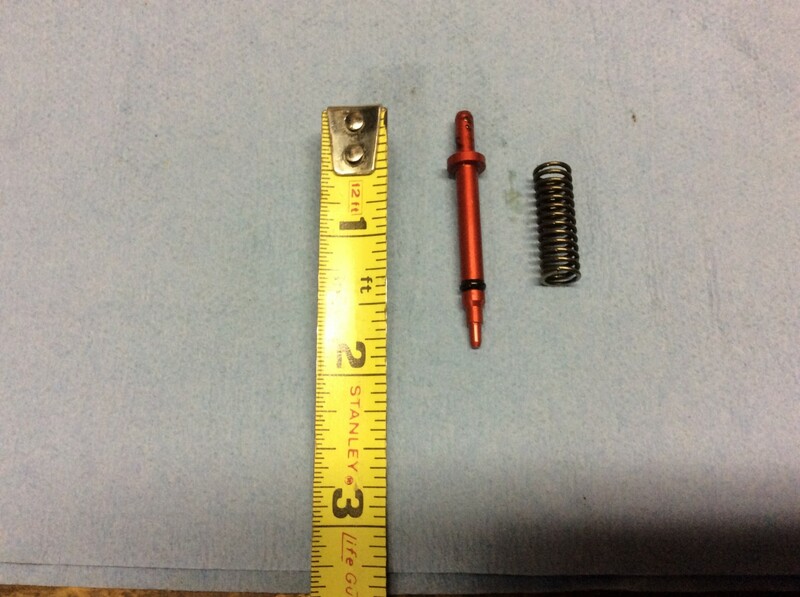 Specifically, there is a small spring and needle pin that sit between the fork cartridge and the rebound adjusting rod. When I drained the old fork oil, these parts fell out and went undiscovered in the darkened oil. Neither the service manual nor the oem parts diagram make any mention of these parts. Thankfully, after learning of the parts from the ktm dealer, i was able to find them sitting at the bottom of my used oil container. Here is what they look like, apart and as configured for installation. I suspect there are similar parts for the compression fork adjustment and they just didn’t fall out when I changed the oil on that side. Anyhow, watch for these parts if you change your own fork oil.